Save Marinwood-Lucas Valley - our community, our future: Marin County Supervisors Gives us a New Level of Transparency for Xmas! 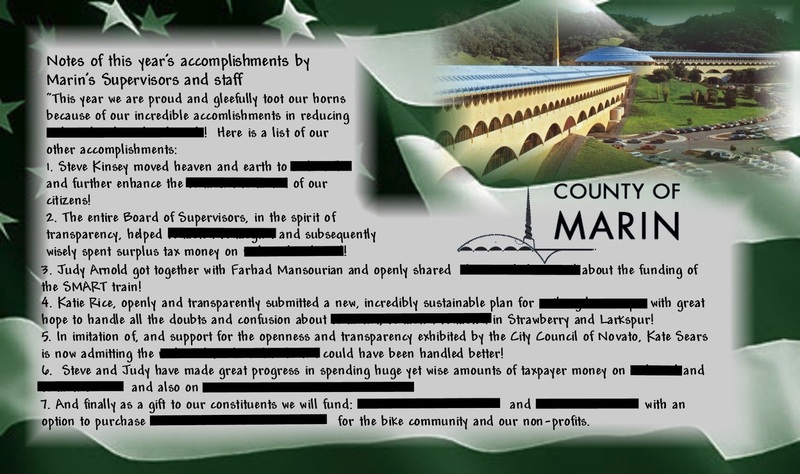 Marin County Supervisors Gives us a New Level of Transparency for Xmas! Our supervisors and town councils are reaching for ever new heights in openness and transparency. Here is a short list. From the brilliant mind of Seamus O'Reamus.